On Friday September 9th, the planet Jupiter shifts into the sign of Libra. Jupiter changes signs once every year; so this is a significant shift in energy. Jupiter is the largest planet in the zodiac and it’s energy brings expansion, abundance and good fortune. Now it’s important to understand that we all experience Libra energy; albeit in our own unique ways. This transit is good news for everyone. 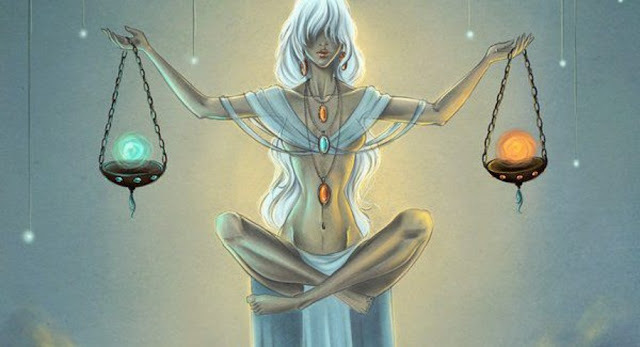 Libra rules partnerships; which means it’s going to be a lucky time for love. However when we are flowing with this energy it’s crucial to understand that the most important relationship you’ll ever be in is the one to yourself. Self love, self acceptance and being there for ourselves is mandatory to reap the harvests of Jupiter in Libra. Unhealthy thought patterns and narrow mindedness is not going to work anymore. It’s time to nurture and love every part of ourselves; no more excuses or reasons to be self critical. As we move into this gentle, loving and beautiful energy it’s important to take a look at yourself in the mirror and love who is looking back at you. We are just beginning this year long journey so it’s totally okay to feel like you have a long way to go. Remember that we are learning to unconditionally love and accept ourselves. It takes time. It takes practise. Nonetheless all that is needed is your loving intention and willingness to do your best. Get interested in yourself. What do you love? What do you love about yourself? Focus on these questions even if it’s uncomfortable at first. Ideally you want to change you mindsets and attitudes towards yourself. It’s time to believe in yourself. To put yourself first without feeling guilty. This is going to benefit everyone. I like to use the analogy of a safety demonstration on an airplane. The crew says, “when the cabin pressure drops, make sure to secure your mask before securing others”. This is now a time of putting your mask on first, because if you don’t you won’t be able to breathe. By “putting your mask on first” you are sending a message of worthiness out to the Universe. When Jupiter is involved he loves to respond to worthiness with lots of blessings. Self care now will benefit every area of your life; especially your long term relationships. Jupiter comes into Libra every 12 years. Think back to 12 years ago and look at what you were learning. How were you treating yourself? What did you think of yourself? What was he state of your relationships? It’s time to update all of the above. If you are a Libra Sun sign this is an exciting time, however Libra represents a certain area of life for everyone. This is due to the birth chart; which is a map of where all the planets were when you were born. Each sign rules a certain area of your individual birth chart and therefore when a planet moves into a new sign it highlights a unique area of your life and presents new lessons. When working with astrological energies it’s so key to think of yourself as all the signs. Each energy is offering you an opportunity to swim with it. Astrology transits are currents of light; when you have an awareness of these cycles you can make the most of their lessons and illuminate your life. Here’s to self acceptance, self love and self celebration! Love yourself and so will everyone else. About the Author: Shannon Hugman is an astrologer, artist, emotional healer and more. Shannon is offering apersonalized reading to explore where Jupiter is traveling through your unique birth chart. Shannon is also excited to help individuals harness the wisdom of astrology through her newest offering,The Art of Astrology Online Academy. She is available for personal astrology chart readings which can be purchased through her website. Follow Shannon on Social Media to receive daily astrology forecasts!